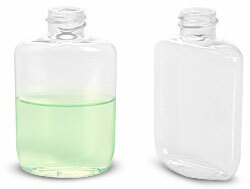 SKS Bottle & Packaging, Inc., offers custom container mold making capabilities. Our in house Packaging Engineers and Sales Staff are available to answer your questions regarding having a custom plastic bottle or jar mold produced. If you are looking for something unique or have a particular package requirement that you can not locate and would like to have a custom mold manufactured, let us know. The molded items pictured below are an example of our custom bottles. They are all available from our stock molds.